"Baaa Baaa Blind Sheep - Do You Have A Clue?" I admit I have been completely baffled as to the complacency, laziness, and ignorance of the American public in general when it comes to becoming enlightened and educated, on any subject in general. Case in point-at my place of employment-a unionized shop-recently a "petition" was circulated. All union members were expected to sign it. All it stated was some vague mention of the automotive restructuring plan, and an equally vague mention of saving American workers' jobs. No specifics at all. I passed on signing it, and requested to speak with our union president about it-instead, a union committee person came to discuss the petition-the one responsible for circulating it. I asked her if she knew any specifics on it at all-basically to verify if the union leadership knew what they were circulating for signatures. She knew basically nothing of it, except for some news she had heard of "the bailout". I inquired as to why the union leadership was circulating this, since they knew very little of it. I was told that the "international" president , with his team of lawyers, had asked all locals to get all their members signatures on this matter, and that she trusted them. I then asked why she trusted these people, when they were the same ones who advocated voting for Obama for president, Granholm for governor of Michigan, and, in the past, Clinton for president. Observing all the damage these incompetents have inflicted upon the American public, trusting them would seem a very stupid thing to do, and the last thing that any responsible union leader should want to do. At that point of the conversation, all I could think of was "baa baa-another blind sheep". The committee person was as blind as a sheep headed for its own demise, as are the union members who signed the petition without even knowing what they were signing , or the implications of doing so. This is, literally, the blind and the ignorant leading the blind and the even more ignorant. The committee person then asked why I was still bashing former President Clinton. She and I have had this talk before, but I repeated myself for her convenience. Former President Clinton, in my opinion, committed two of the worst acts against the people of the United States that anyone could have inflicted. First, he signed the NAFTA agreement, which has cost hundreds of thousands of Americans their jobs, and has allowed American corporations to move outside of our borders to profit THEM, at the expense of the American worker. Second, during his administration, Clinton supported the corruption and perversion of Social Security's Title IV-D. 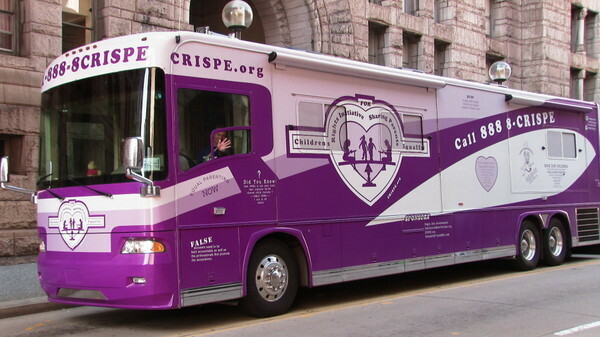 This program, originally intended to gather support dollars for children whose parents actually abandoned them, was changed to include ALL divorcing parents. This program would never recoup the expenses it cost without including the middle and upper classes in the bureaucracy, since so many of the other parents were unemployed or under-employed. This encouraged the states to label parents as "non-custodial" instead of "abandoning" in order to reap the billions of federal dollars flowing into the divorce industry, and pays them to destroy families and the lives of our children. It is absolutely amazing that the American public continues to support politicians whose only answer to severe domestic and economic problems is to throw money at them. Many elected officials are guilty of this, but the Democrats are far ahead in doing so, in my opinion. Their solutions always seem to be to increase government bureaucracy, line the pockets of whomever advises them of the problem, and then realize that to fund the new program, that taxes must be raised to cover the costs. They care not for the American people-the programs and the bureaucracy are all that matter to them! So, fellow Americans, for all of our sakes, open your eyes, and see what their actions are doing to us. Don't blindly follow and believe their false and misleading rhetoric. If you continue to blindly follow along, you are doing precisely what they want you to do. They are methodically stripping Americans of our livelihood, our ability to pay our bills, they are taking away our fundamental and Constitutional rights, and are PREVENTING us from caring for and raising our children. For you "sheeple", stop including the rest of us in your path of self-destruction. We want no part of it! Others are awakening to their demise-which will you choose to do-remain a part of the problem(s), or become a part of those seeking the solutions to ending this destruction and abuse? Parental Rights Amendment - House Joint Resolution 42. Support Now Before the U.N. Becomes the Parent to Our Children! House Joint Resolution 42 is gaining serious momentum with 92 Congressional co-sponsors and counting! Are you a parent? It doesn't matter if you are a mother or a father here in the United States because all parents will lose the ability to parent their children if the United Nations Convention on the Rights of the Child is passed in the United States. "Convention on the Rights of the Child" sounds so innocent and something that all might be fooled to support. In reality this will strip your ability to parent your children and all in the United States must parent to the UN's demands. 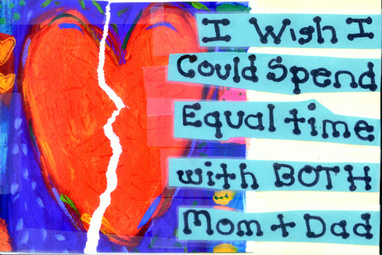 Show support for the Parental Rights Amendment immediately by signing the petition now. The United Nations Convention on the Rights of the Child is also a serious threat to our Second Amendment Rights of LEGAL gun ownership. Read this article by Michael P. Ferris, J.D.on how the UNCRC will impact the rights of private gun ownership in America. Gun Owners of America already is listed as a supporter of H.J. Res. 42, however sadly the NRA (National Rifle Association) is not currently listed as a supporter. NRA members contact the NRA now and demand their support of H.J. Res. 42. If your U.S. Representative is not on the list, please call or email them and urge them to become a sponsor of the Parental Rights Amendment (H.J. Res. 42). Find your Representative and demand their support as a voter! 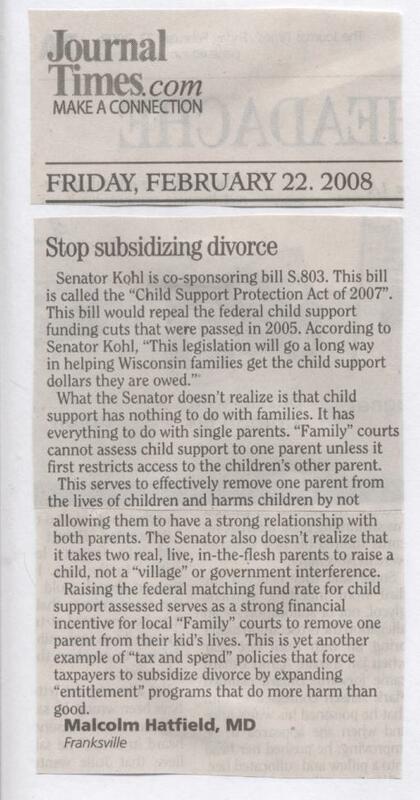 Please tell everyone you know about the Parental Rights Amendment and ask for their ACTIVE support. Thank you Rep. Pete Hoekstra for showing leadership as lead sponsor of H.J. Res. 42. Rep. Hoekstra is now running for Governorin the State of Michigan and should receive your support from all in the state of Michigan. Remind me again - what do we pay public schools to teach? Teaching this should always start at home first. ONE-THIRD is a truly pathetic number! No wonder this country is in the mess that it is. Two-thirds must be the sheep that care only of their nightly sitcom show. Don't Know Much About History: Everything You Need to Know About American History but Never Learned. "Support? System Down" - Documentary to Expose Corruption in America's Family Courts. Ron Paul Activists Must Read! Government has come into our homes and taken control of our families. Worst yet the government has attacked the liberty interests of parents in the "care, custody, and control of their children." 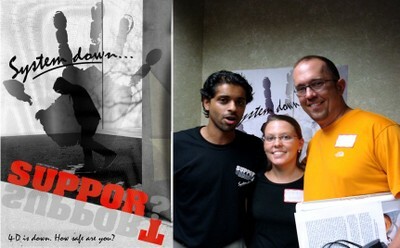 Angelo Lobo, director/producer of Support? System Down, has experienced this first-hand and describes this as a basic human rights issue and an attack on liberties provided by the Constitution! Defenders of the Constitution, Libertarians, Ron Paul and Campaign for Liberty activists - PLEASE READ CLOSELY! Ron Paul and Campaign for Liberty activists should be all over this one!! The first step in destroying a liberty based society is to weaken the family unit. Read Common Sense Revisited and you will understand my point better. I am surprised that the Ron Paul and Campaign for Liberty folks have not picked up on how POWERFUL it would be to point out that the systematic attack on the American family is step one in reducing liberties in a free society. Let's just hope they see this post and incorporate this in their messaging. "The Fourteenth Amendment provides that no State shall 'deprive any person of life, liberty, or property, without due process of the law.' We have long recognized that the Amendment's Due Process Clause like its Fifth Amendment counterpart, 'guarantees more than fair process.' The Clause includes a substantive component that 'provides heightened protection against governmental interference with certain fundamental rights and liberty interest" and "the liberty interest of parents in the care, custody, and control of their children-is perhaps the oldest of the fundamental liberty interest recognized by this Court." One of the best tools to expose the corruption of America's family courts and the attack on the American family is an upcoming documentary titled "Support? System Down. Most educated people are not aware of the fact that family courts PROFIT by creating a non-custodial parent after a divorce. They also profit by setting child support at the highest possible level; even if it destroys the non-custodial parent. Learn the shocking truth of Title IV-D and how the profit-motivated family court systems are attacking our fundamental liberties, our families and the constitution. Support? System Down is a high quality, shocking documentary which outlines the attack on families, liberties, and the Constitution. Please review the incredible quality of this movie by viewing the four trailers . My personal favorites are "It's About The Kids" and "Corruption". Ron Paul, Campaign for Liberty, Equal Parenting and Family Court Reform activists should place their support behind this powerful documentary. The Director/Producer of Support? System Down needs to raise additional funds to mass produce the final cut on DVD. 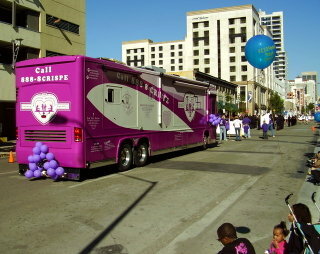 2) Making a donation at the documentary's website. By helping in these two ways, you can help bring this documentary movie onto a mass produced DVD. It is vital to get this message out to the public and Support? System Down is a powerful way to do just that. Buy the Sneak Peek DVD now and be sure to enter the code childright at checkout for two dollars off! 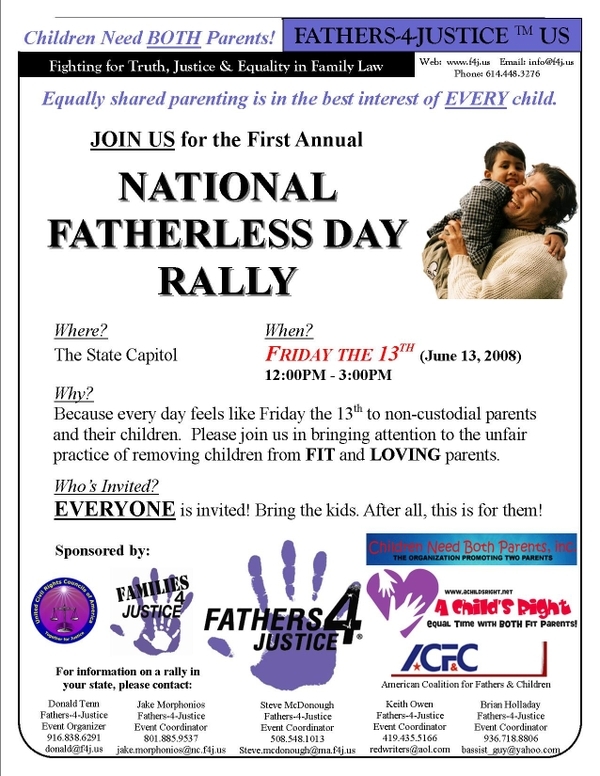 Mail a copy to your elected officials, a judge, a child custody caseworker, your local child support office, etc. Join the Campaign for Liberty now! Republicans / GOP - Can You Hear This?? Ron Paul Was Correct! This is easily one of the best youtube videos I have seen in some time. The Republican Party REFUSED to truly listen to Ron Paul Republicans. At every turn they tried to block Ron Paul's access, During debates they made jabs at him to make him seem incompetent. SADLY, the Republican Party did not listen. In fact, even after the election in a special Republican Party GOP meeting, to essentially move forward after a horrible loss, - Ron Paul was not invited! Ron Paul was correct and this is a HUGE "told you so moment"! Again will Republicans learn from their mistakes? Many die-hard Republicans are having a difficult time seeing the difference between Republicans and Democrats right now. Listen now Republicans before the economy collapses in 2009-10 and rolls into a Great Depression. Laugh now, make jokes, deny again - Ron Paul Republicans pray that there will never be another "we told you so moment". This video is INCREDIBLE. It starts out slow and then WOW! Michelle Malkin, Sean Hannity, and many news reporters really look like fools when you compare the time-line (Before and After) in this video. Many believe Ron Paul Republicans were just a craze phase and will disappear. GOP if you still think this you will once again lose election after election. While the GOP is still talking Reagan they should have been listening to Ron Paul. Educate yourself and join the Campaign for Liberty now! Ford Clubs American Taxpayers Over The Head. Perhaps They Should Ask Mexico For The Bailout? Contact your U.S. Senator ASAP and tell them NO to the U.S. auto bailout. The auto bailout has already passed in the House. American taxpayers are told that we should support the auto industry bailout with our tax dollars. Why the hell should we? The Big 3 are investing more (new investments) in other countries than in the U.S. And how was NAFTA good for us? Congress also wants a federal automaker czar to oversee the auto companies. Sounds like communism to me! Does this make sense to you? Your tax dollars will be used to bailout POORLY managed companies. Why should incompetence be rewarded with OUR tax dollars? I bet that no part of the bailout includes firing the current CEO's and replacing them! The executives still get to keep their massive bonuses at the end of this deal is my guess. This bailout sounds more and more like the Wall Street bailout - benefiting only a select few! Why should AMERICAN tax dollars be used to bailout companies which are investing more in foreign countries than here at home? One example - Ford is asking for a bailout with AMERICAN tax dollars when they are cutting 30,000 jobs in America, while hiring over 150,000 more workers in Mexico. Ford wants a bailout with AMERICAN tax dollars and they announced in 2006 a 9.2 BILLION dollar investment in Mexico. Thus, 15% or 1 in 7 of all unemployed people in Mexico will soon become employed by Ford. This is 3 Billion of the 9.2 Billion. Are we bailing out the Ford Motor Company which spent close to a Billion dollars to purchase a Romanian car company in 2007? Didn't Ford Motor Company just spend 500 million dollars to expand one of their plants in Thailand? Isn't this the Ford Motor Company that recently invested roughly 28 million dollars in a new research and engineering center in China? And 375 million dollars in Turkey? As Dave Gibson wrote "Ford should ask Mexico for a handout"
So do you REALLY think that this bailout will help Americans? Perhaps you should take a look at the future as presented by Congresswoman Marcy Kaptur. While watching this ask yourself who this bailout is REALLY benefiting and whether or not NAFTA has hurt the American worker. So what is Ron Paul's take on the auto bailout? WAKE UP AMERICANS! You and your children will be forced to pay taxes on a rising national debt. Contact your U.S. Senator IMMEDIATELY and tell them NO on the U.S. auto bailout! There are reports that the U.S. Senate will be an uphill battle for the U.S. auto bailout. 2. Fed refusal to disclose $2 trillion loans, now the new "shadow banking system"
Will the next meltdown, the third of the 21st Century, trigger a second Great Depression? Or will the 2007-08 crisis simply morph into a painful extension of today's mess to 2011 and beyond, with no new bull market, no economic recovery as our new president hopes? Perhaps some of the first 29 problems may be solved separately, but collectively, after building on a failed ideology, they spell disaster. At a recent Reuters Global Finance Summit former Goldman Sachs chairman John Whitehead was interviewed. He was also Ronald Reagan's Deputy Secretary of State and a former chairman of the N.Y. Fed. He says America's problems will take years and will burn trillions. He sees "nothing but large increases in the deficit ... I think it would be worse than the depression. ... Before I go to sleep at night, I wonder if tomorrow is the day Moody's and S&P will announce a downgrade of U.S. government bonds." It'll get worse because "the public is not prepared to increase taxes. Both parties were for reducing taxes, reducing income to government, and both parties favored a number of new programs, all very costly and all done by the government." Reuters concludes: "Whitehead said he is speaking out on this topic because he is concerned no lawmakers are against these new spending programs and none will stand up and call for higher taxes. 'I just want to get people thinking about this, and to realize this is a road to disaster,' said Whitehead. 'I've always been a positive person and optimistic, but I don't see a solution here.'" We see the Great Depression 2. Why? Wall Street's self-interested greed. They are their own worst enemy ... and America's too. "The people of the United States had better WAKE UP!" Listen (click link above) to how she explains America will look in the near future and who is at fault!! Thank you Congresswoman Kaptur for speaking out when many of our elected officials lack the courage to do so. Dorothy Womble and William Hague survived the Great Depression. 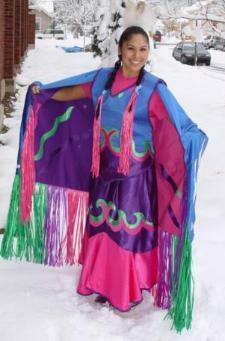 They share their stories of living during that time as children. Excellent article on Ron Paul's Campaign for Liberty blog. The most devastating loss in Michigan in November was Tim Walberg's loss to Liberal Mark Schauer. Tim Walberg is a true patriot of liberty, as pointed out in Ron Paul's Campaign for Liberty blog, he voted twice against the bailout. The bailout will only mean that taxpayers and their children will become financial slaves to the tax burden created by this bailout. "Michigan's Tim Walberg lost his seat, too, though. 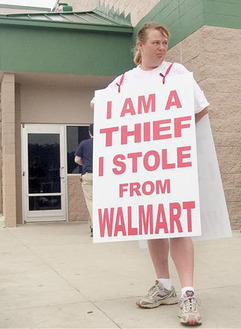 Walberg voted against the Great Robbery both times." Glad the Campaign for Liberty recognizes Tim Walberg for being a true patriot and one who fights for his constituents. Special thanks for doing this! As Ron Paul stated there are probably even more bailouts on the horizon which the government will ram down our throats. The greatest loss to Michigan is Tim Walberg. Too bad the National RNC did not have the intelligence to figure this out before the loss. I personally wrote the RNC a total of five times regarding the need for them to step it up a notch on helping Tim Walberg. Number of times they responded - ZERO. The Michigan Republicans and the RNC are trying to figure out what happened this election and the direction they should go. GIVE US MORE CANDIDATES LIKE TIM WALBERG AND ONLY THEN WILL YOU SEE REPUBLICANS GOING TO VOTE. More and more I am seeing virtually no difference between Republicans and Democrats. Ron Paul's analysis on the November 2008 election results. On CNN 11/06/08. PLEASE be sure to visit Ron Paul's Campaign for Liberty and to also educate yourself on The Revolution - super cheap on Amazon.com. We are proud of the efforts of Lary Holland and numerous other organizations sending a message to the ACFC that this event will continue! We applaud this courageous effort to make sure that the voices of those concerned over the right to parent and excessive government intrusion will not go unheard. If you are an individual or organization we ask that you send a letter of support to Lary Holland and the DC Festival 2008 Team at laryholland@sbcglobal.net. A growing number of organizations have already signed on in support of this important effort! Make your support known now by sending your letter of support. Why should you support this effort, attend it and encourage others to attend as well? Be sure to order a high quality flag for your event! Angela and Robert Pedersen on the Ultra Popular Talk Show "Children Need Both Parents"
Angela and Robert Pedersen on the Ultra Popular Talk Show "Children Need Both Parents". "Children Need Both Parents" is hosted by Ronald Smith and Robin Denison. The turnout by those who listened to this talkshow live was quite high so we were obviously thrilled by the support. You can download a recording of the entire show at the "Children Need Both Parents" talkshow homepage - download the episode listed under the date 02/21/08. If you do not want to download a recording you can also listen to the show using the same link above. Another option - You can also listen to it via the hipcast player below. Make sure you listen to the various folks that called towards the end of the show. They truly provide a unique and interesting perspective in this show. Yes, the one making all the noise is our son Anthony Caius Pedersen - already he is trying to give his two cents to the discussion! [10:03:49 PM] <Guest 11> Hello Robert and Angela.. I just got home.. !! [10:06:10 PM] <mountain19> God bless you guys and gals. real citizens all of you. [10:06:30 PM] <Guest 11> Tell Robert Marcie from Michigan is here to support..
[10:36:03 PM] <MikeSaxton> Rob & Angela ROCK! See you all Sunday. Ron, I want an autographed book! [10:46:06 PM] <Guest 16> Tell Angela to give the little one a hug for me.. He soooo cute.. talk to ya soon..
Robert and Angela Pedersen Tonight 9PM EST on the ultra popular talkshow "Children Need Both Parents"
You have been invited by Ronald Smith to join a live Community Call. 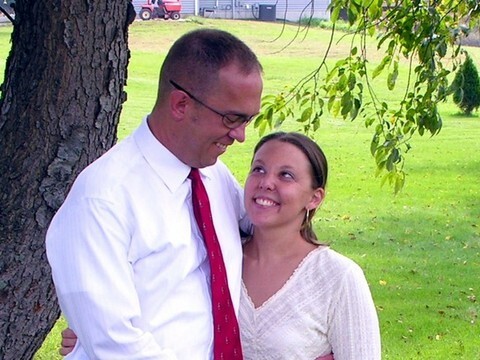 Michigan's Shared Parenting Dynamic Duo and brand new Mommy and Daddy. Angela is the quite giant who works diligently with Robert the Bike Trekker. You've heard Robert and seen Angela...NOW IS THE TIME TO TALK TO THIS EXTRAORDINARY COUPLE!!!!! You can't miss this!!!!!! Heather Mills continues her dig for gold in the Paul McCartney and Heather Mills divorce case. Heather Mills turned down 30 million and just recently 100 million. How long were they married? 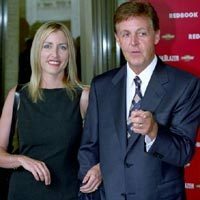 Six years at most and Paul McCartney's fortune was made prior to his marriage to Heather Mills. Like most men Paul McCartney will get screwed because he chose to have a child with Heather Mills. Most child custody cases are awarded to the mother in the United Stated and in the United Kingdom. 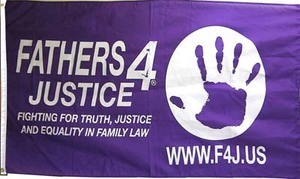 Fathers4Justice has been working for years to change the biased family court systems in the UK. 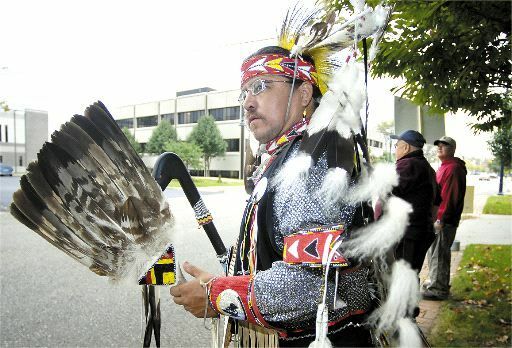 Dance4Equality, an American Indian equal parenting organization, will be present at the 2008 Equal Parenting Bike Trek departure! It is with great honor and excitement that we share this fantastic news with our readers! Dance4Equality, under the leadership of Derek Bailey, MSW, will be present at the 2008 Equal Parenting Bike Trek departure. 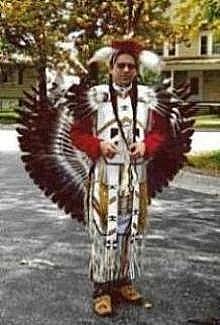 Mr. Bailey is a tribal leader for the Band of Ottawa and Chippewa Indians. Make no mistake about it! This years Equal Parenting Bike Trek will be a massive event and having Dance4Equality present on August 7th 2008 at the Lansing Capitol Lawn for the cyclists' departure creates an additional level of excitement surrounding this event. You can hear the interview live in Las Vegas, Nevada and parts of California. Live outside those areas? Dr. Stephen Baskerville on Family Courts - "Family Courts are Crooked"
Dr. Stephen Baskerville's video on how family courts are crooked. This is a MUST SEE video for sure...also make sure you buy his new book. It is worth EVERY penny! You can hear this live on your radio in Las Vegas, Nevada and parts of California. Robert will reveal a secret detail of the 2008 Equal Parenting Bike Trek departure from Lansing, MI! August 7th 2008 12 Noon - departure of the 758 mile Equal Parenting Bike Trek from the Lansing Capitol. 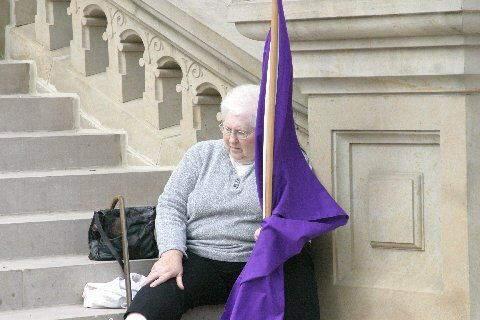 The media and supporters will fill the Lansing Capitol Lawn simply to see what Robert will reveal on this Friday's interview. Stay tuned because we are hoping to have the call-in phone numbers for this exciting radio interview. Show your support and be sure to tune in and listen to "The Message" with Richar Farr. 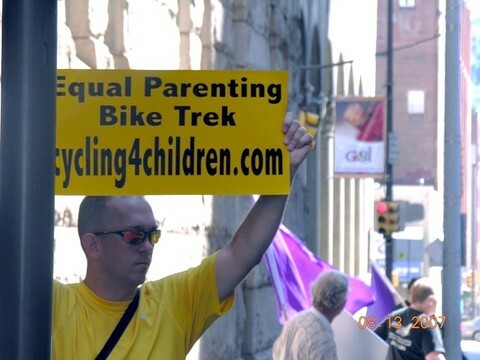 How was the media coverage for the 2007 Equal Parenting Bike Trek? Family Courts in Michigan and throughout America salivate at the thought of bringing another family and their children under the control of the family court system. Each state and county government makes big money on Title IV-D welfare management. 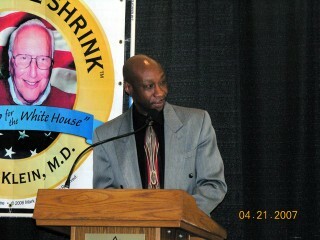 Dr. Stephen Walker speaking at the 2007 Family Preservatin Festival. 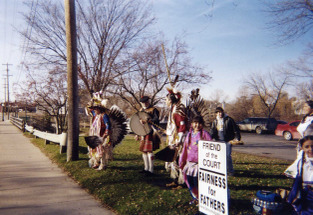 Please be sure to attend the 2008 Family Preservation Festival being held on August 15-17 2008. Ron Paul Supporter Makes his case to fathers.